Songs from the Forest: Broke, busted and disgusted for Mother's Day? I've got your back. Broke, busted and disgusted for Mother's Day? I've got your back. 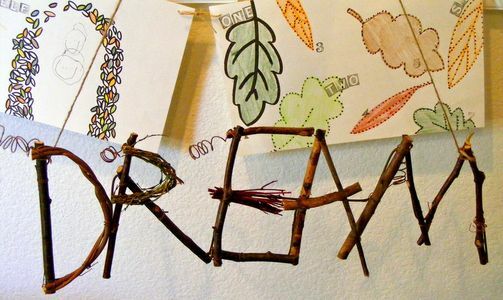 Well then head to the park or forest and try making some of these nature crafts. Little to no cost or supplies. You probably already have this stuff laying around. Heck, if I was a mom (again, I'm not complaining), I would rather have any of these than the usual Mother's Day fodder. 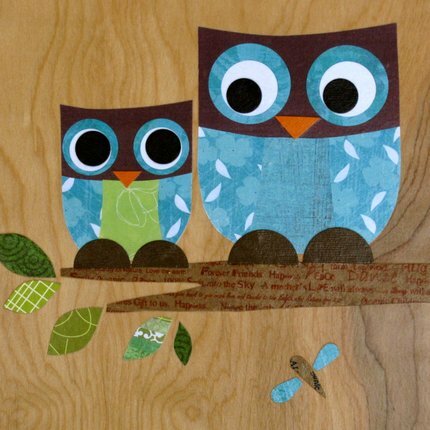 These are perfect for the other mothers you want to honor but don't have any money to spend on. 1.Paper or fabric collage on wood. 2. 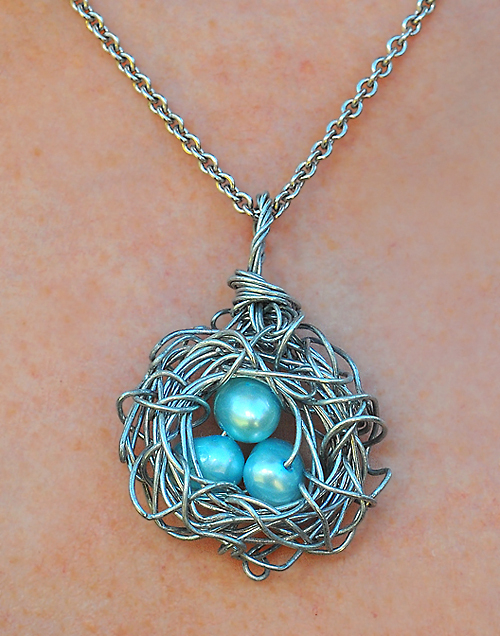 This beautiful bird's nest pendant is just wrapped wire and three blue beads. 3. 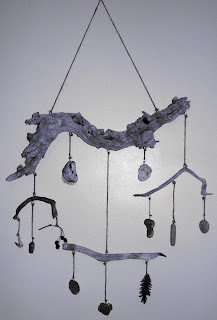 This neat hanging sign I believe is only sticks and copper wire. 4. This cute planter is just an empty tin can with some twigs wired to it. Stick a two dollar nursery plant in it and you are ready to go. I'm not sure what I think of the spider though. 5. I love this. Twig sunburst wreath. 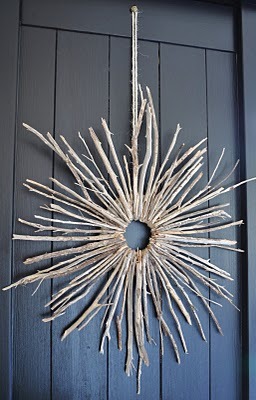 It is just a cardboard circle, with some twine or sisal wrapped around it, and then some twigs glued to it. 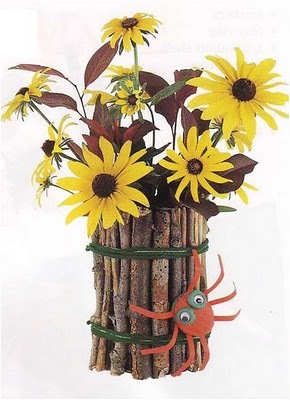 You can't get much more nature chic, and cheaper, than this. 6. Balanced nature sculpture. 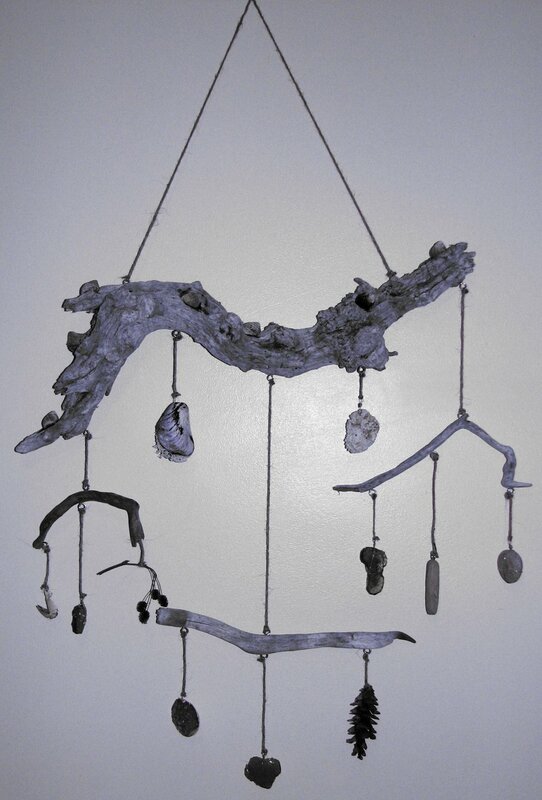 You can literally find all of this stuff in the woods (your strings can be dried vines). 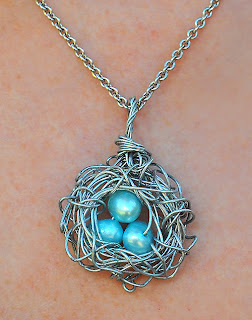 But if you want you can tie polished rocks and other natural stuff to it. May take awhile to achieve all the counter-balance with the objects though, but you can have fun trying. 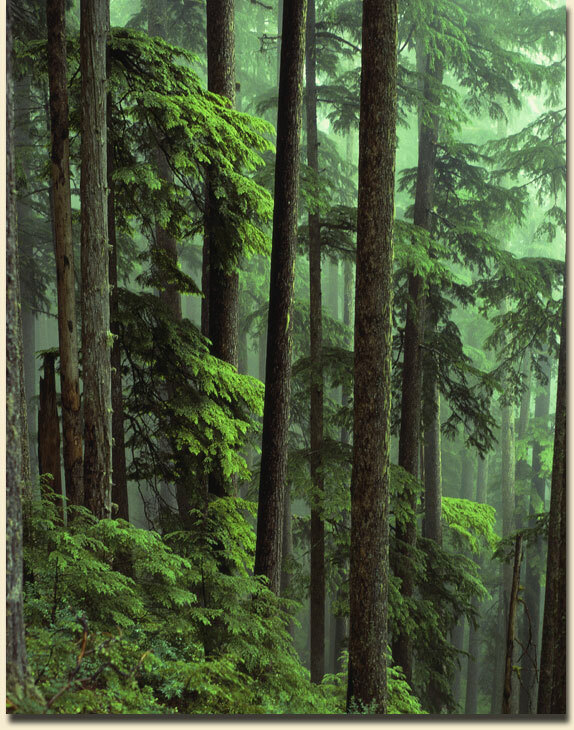 I would also keep this inside, or in a screened in porch. I think I'm going to have to make one of those for myself. Didn't know you were such a crafty person!